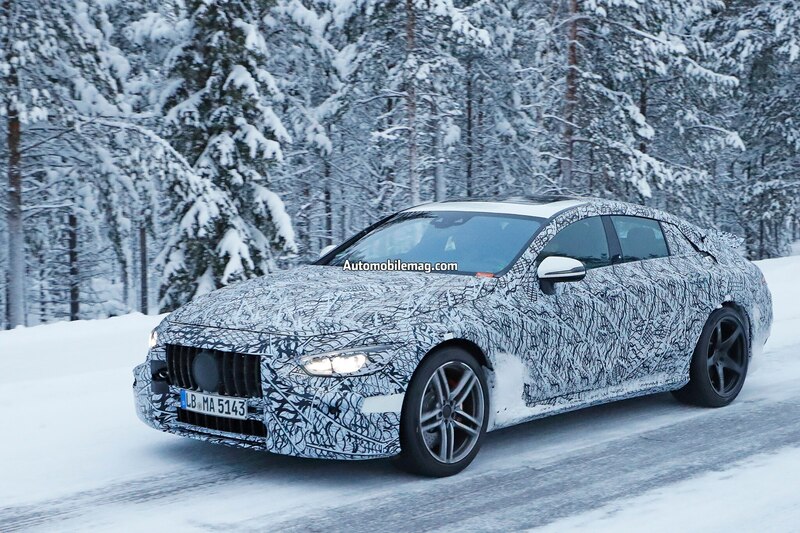 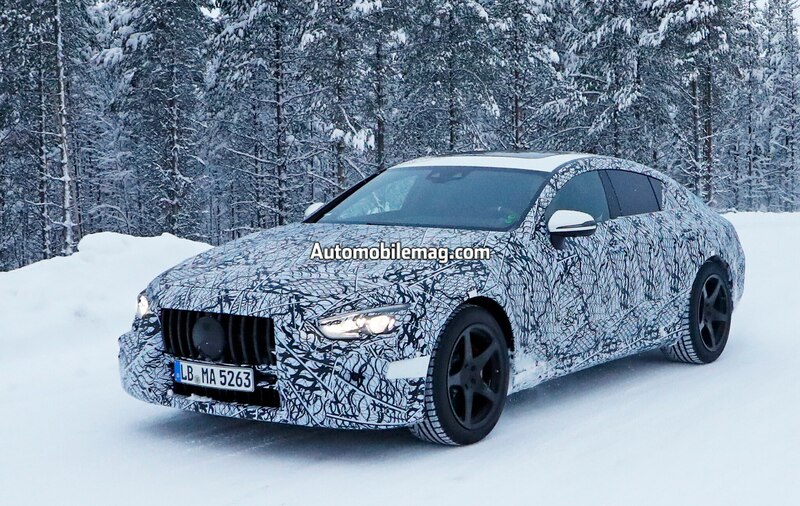 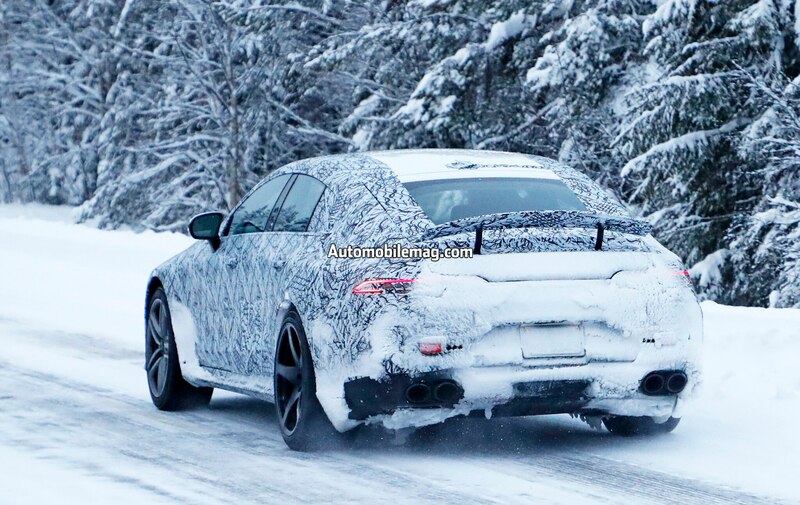 Though you might think Mercedes has the four-door coupe niche covered with the new 2019 CLS-Class, its performance brand Mercedes-AMG has another swoopy sedan on the way: the AMG GT4. 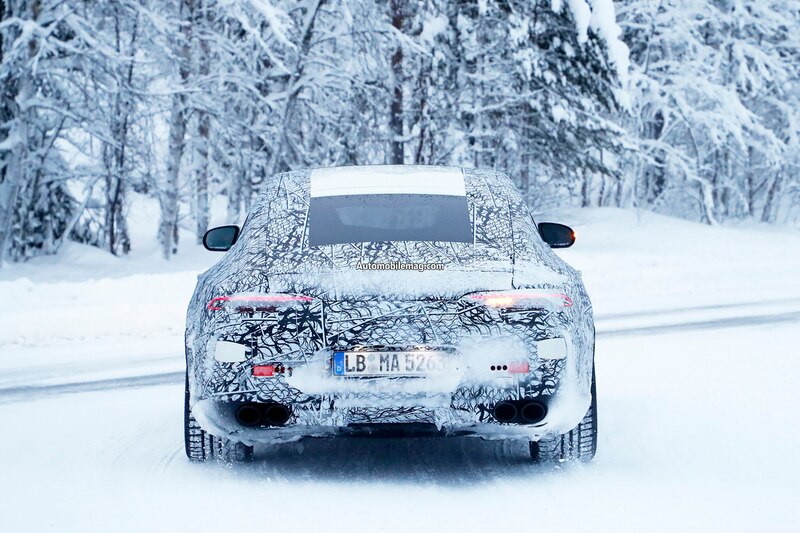 That car has been captured once again, this time conducting winter tests. 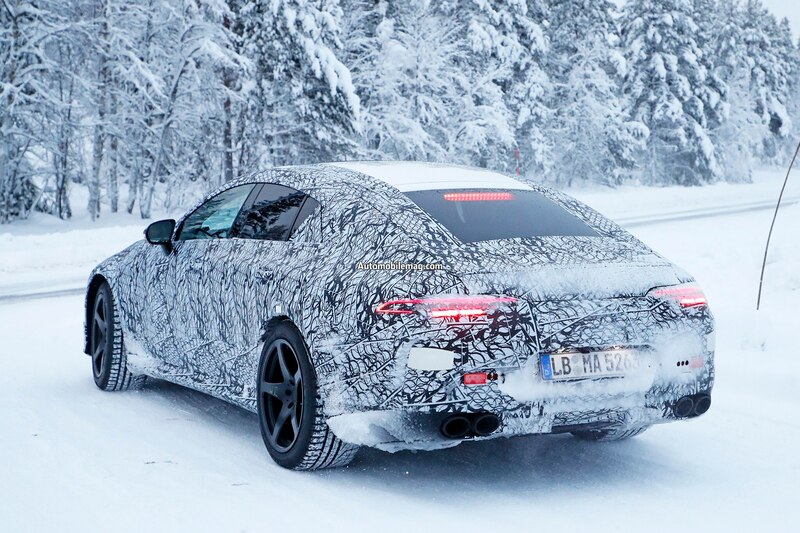 The AMG GT4 will be based on the same E-Class-derived underpinnings as the CLS, but will feature styling inspired by the AMG GT sports car. 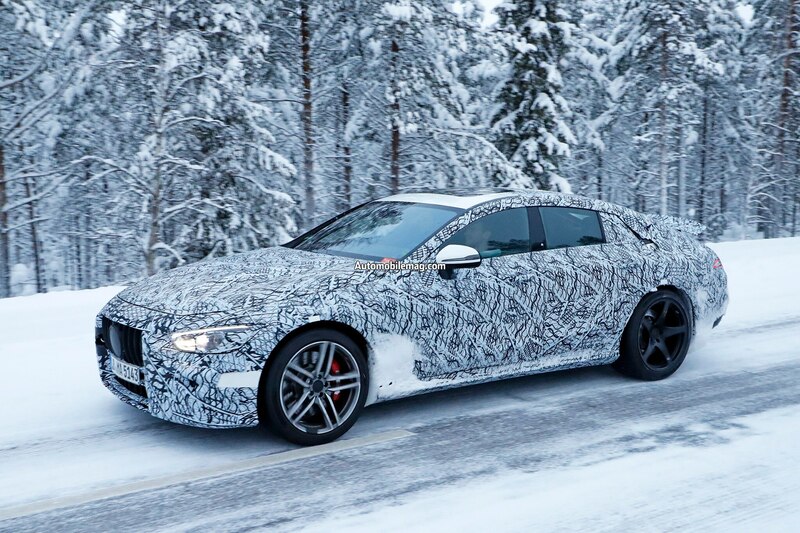 It will also be the sportier of the two four-doors, aimed at the Audi RS 7, Porsche Panamera, and BMW M6 Gran Coupe. 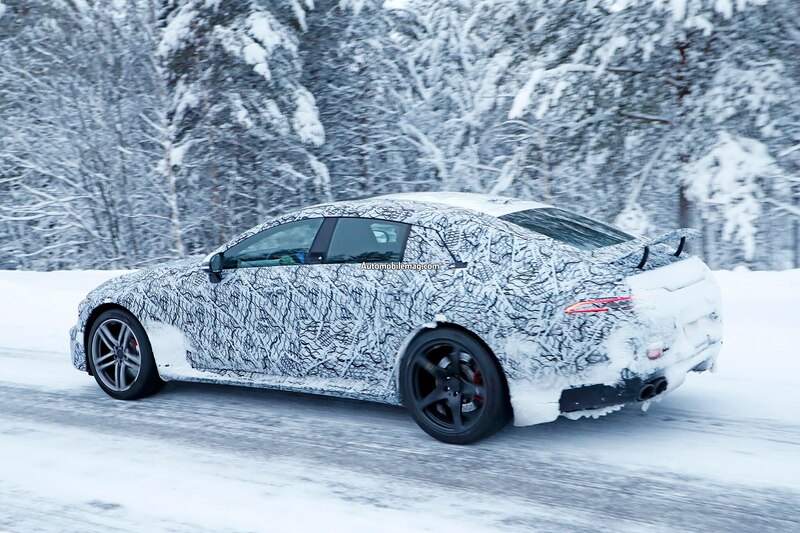 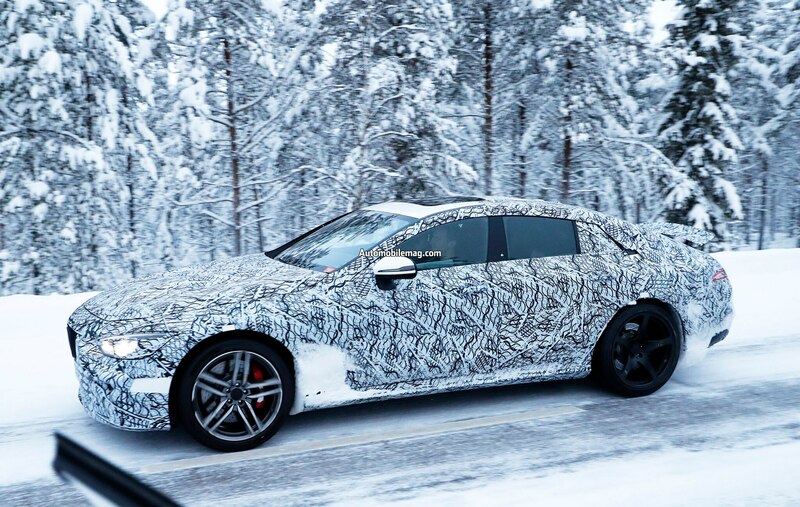 As we previously reported, Mercedes will not offer a full-strength AMG CLS63 variant, but will instead have a CLS53 powered by a more potent version of Benz’s new turbocharged 3.0-liter inline-six. 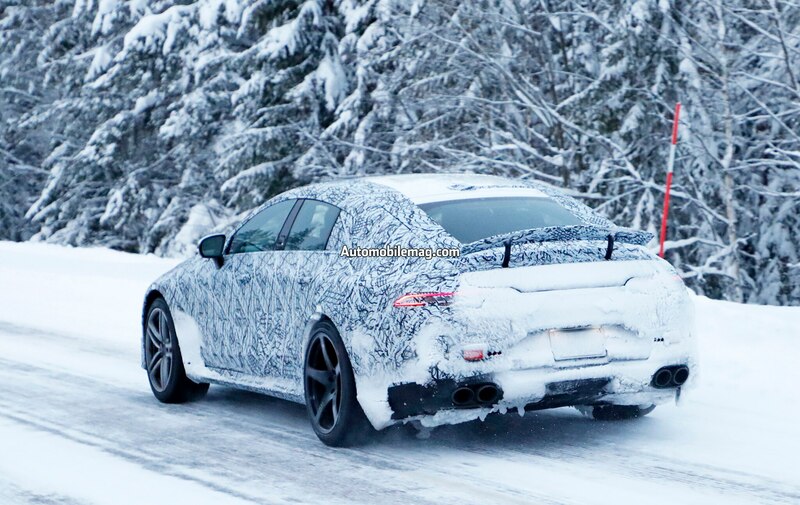 The twin-turbo 4.0-liter V-8 “63” and “63 S” powertrains making as much as 600 hp will be reserved for the GT4. 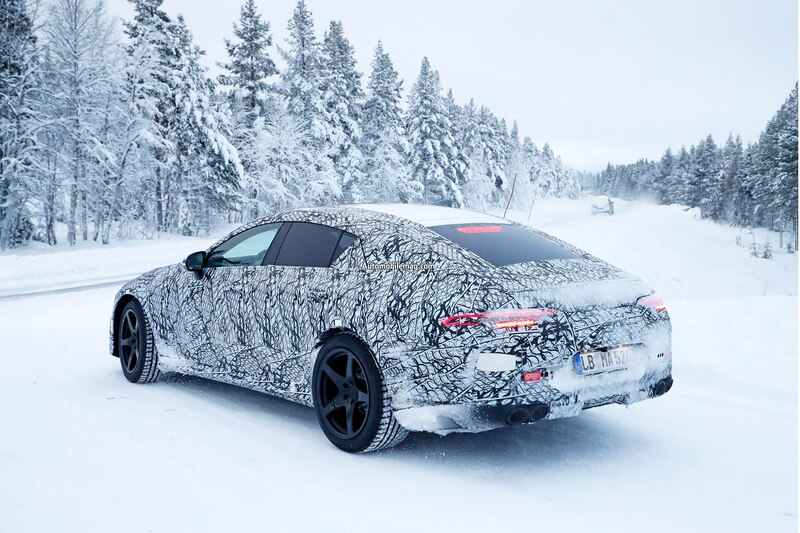 The concept that debuted this year in Geneva packed a hybrid drivetrain good for more than 800 hp, which could hint at a rival to the 680-hp Porsche Panamera Turbo S E-Hybrid. 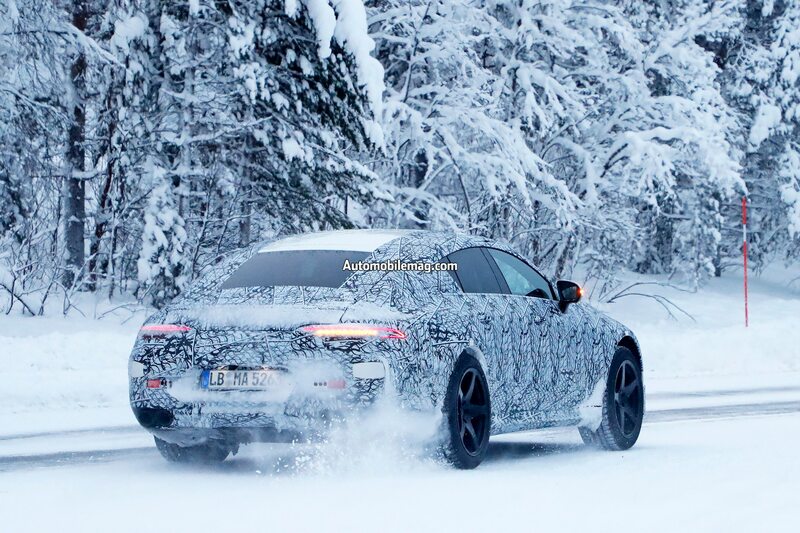 We’ve spied the AMG GT4 several times before, and not a lot has changed since the last time we saw it. 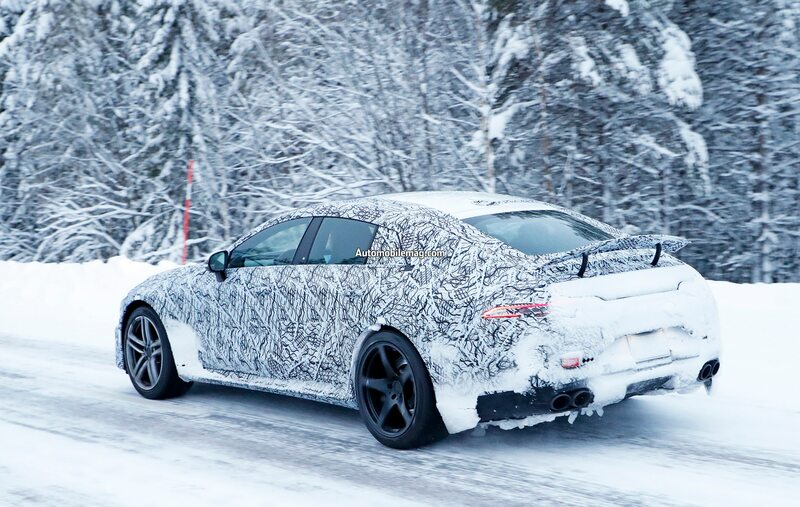 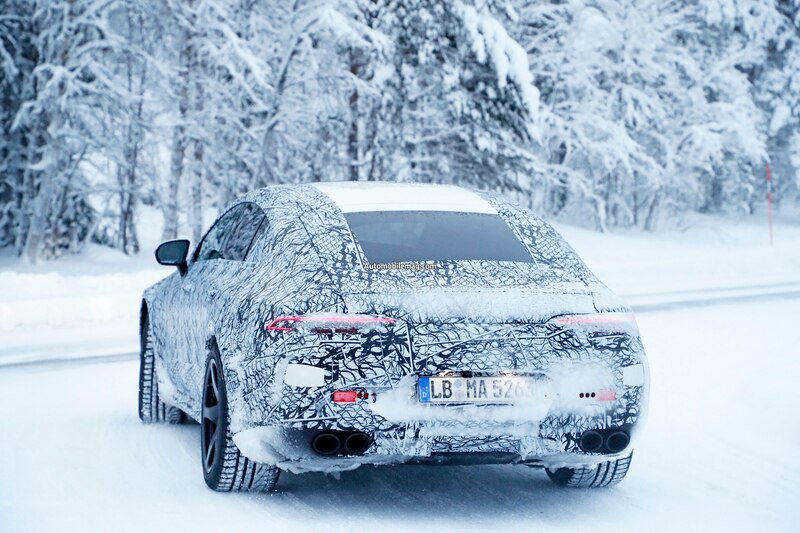 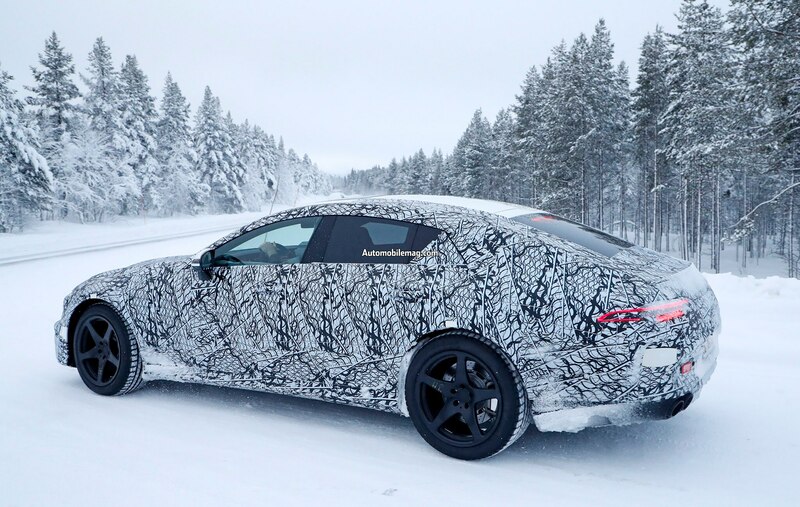 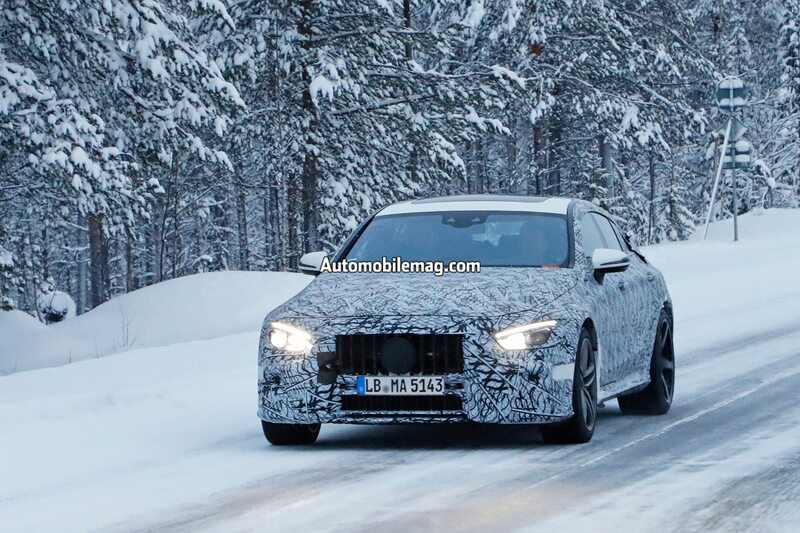 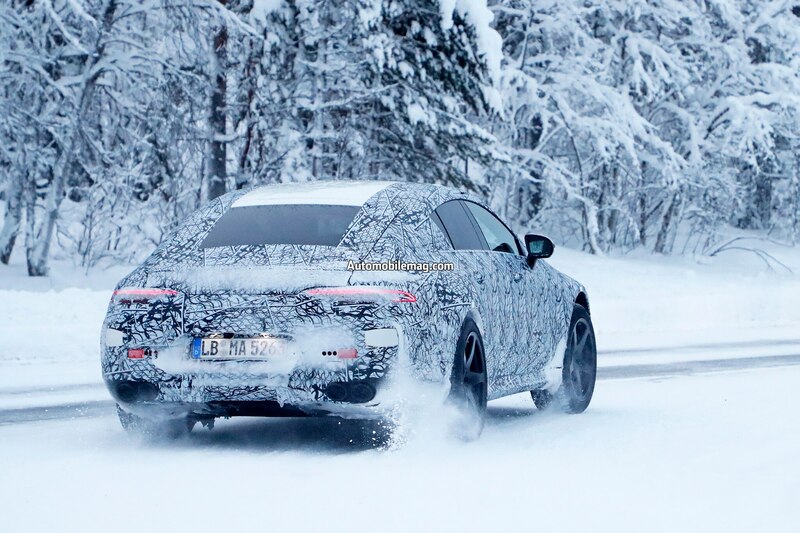 You can clearly make out the slender AMG GT-inspired taillights, active rear spoiler, and quad-tipped exhaust, but otherwise there isn’t that much new to see. 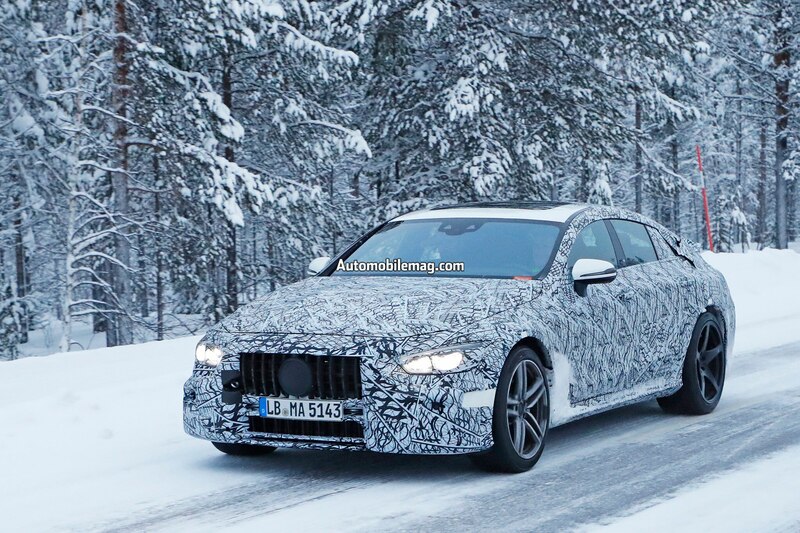 Still, the images give us something to look forward to in 2018, as the car’s debut might be just around the corner.